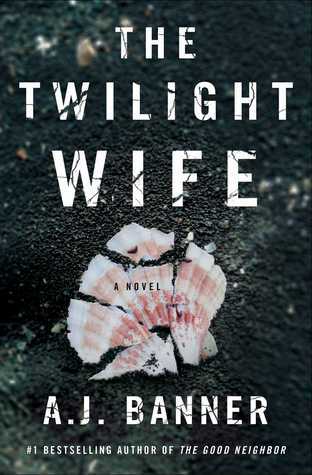 The Twilight Wife begins with a seemingly normal start about a woman who has lost her memory in a diving accident. And then, just like that, BANG... the reader is hit with constant twists and turns that no one could have seen coming! I was sucked in from the first chapter and loved every second of it. As soon as I got into the meat of the book, I could tell something seemed a little off with some of the characters, but I had a really hard time putting my finger on it. I loved how Banner gave me just enough information to think I knew what was going on, but not enough to really figure it all out. I was constantly questioning the characters' loyalty to Kyra and whether or not they were capable of doing something to hurt her. I definitely had suspicions about everyone, which is a really fun (and nerve-wracking) feeling for the reader. I absolutely loved The Twilight Wife from start to finish and have already been gushing about it to family and friends. If you are in the market for a quick and suspense-filled read, you should pick up The Twilight Wife. You won't regret it!